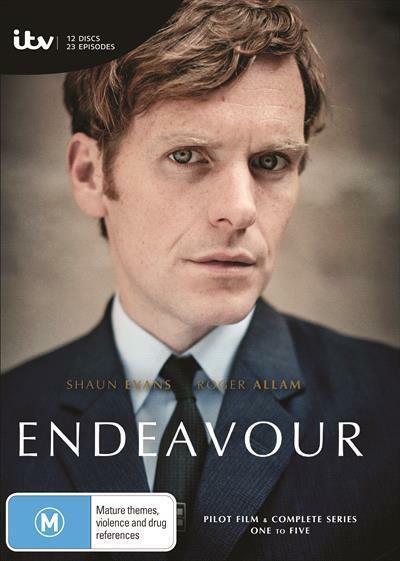 Endeavour is the hugely successful and gripping prequel to the classic Inspector Morse. This box-set contains new mysteries that promise to shape the young Endeavour Morse, whose early days as a detective constable with the Oxford City Police see him risk everything to solve mysteries and secure justice. Despite encouragement by mentor DI Fred Thursday, the novice detectives rebellious attitude means he has a lot to prove before he’s trusted to run his own murder enquiry. Written by Russell Lewis , Endeavour proudly harnesses the great traditions of Inspector Morse the devious crimes, intricate plotting and filmic production values but promises to take this enduring franchise into back to the turbulent, transformative 1960s, and unexplored realms of Oxford life.